Where do resolution come from and how are we engaging the people who are originating the resolutions? the health care one was drafted by a single person. invite people to a social justice council meeting to discuss. first the council originates the resolution then invites interested parties to comment. What is the timing for absentee voting on resolutions? as a result of UUA GA events. The social justice council must take a more active role in the conduct of the process. One – three resolutions at a time. tie it to our principles. discussion deferred for next meeting. Tentative Advertisement: The social justice council is seeking a volunteer communicator to prepare news releases to legislators and the public. These would describe the congregation’s stand of Social Justice issues, particularly those voted on as resolutions. 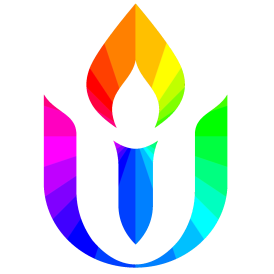 The scope for the resolutions would be both local and nation and support actions from the UUA. Earth Care Ministry is off and running with a plan for the remainder of this year and next. Cathy and Tess will meet to discuss. Marni will act as the contact for this. as much as possible do our own tech. more than one a day can be too much.